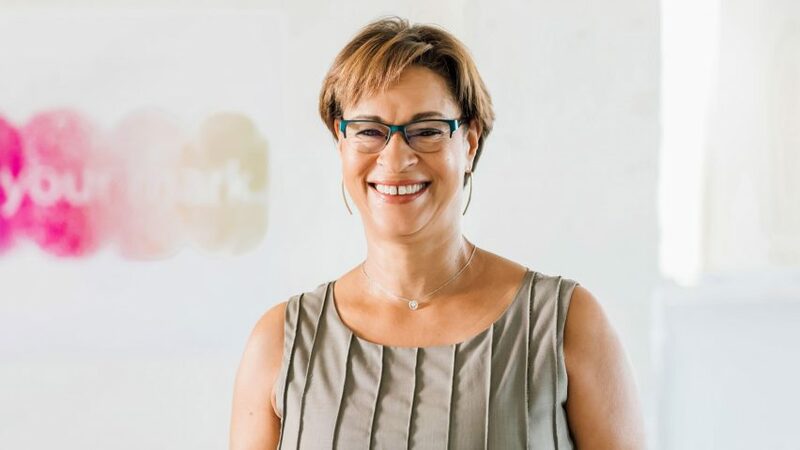 Gabrielle Bullock: "Diversity at an architecture firm is more than just optics"
I became an architect because I wanted to impact and influence other African Americans, and improve the spaces they inhabited. Growing up in the Bronx, I saw how my community was living. After eight years in the Los Angeles studio of Perkins+Will, I wanted to address how we collectively as an industry could improve. I wanted to create a call to action. In 2013, I discussed implementing a proactive framework with our CEO Phil Harrison, and from that our Diversity, Inclusion and Engagement plan was born. We started by taking a deep dive into company culture. As director of global diversity, I travelled to each Perkins+Will studio, from London to Minneapolis. Conversations with employees were frank, and sometimes even uncomfortable. During these "listening tours" we addressed questions about the meaning and purpose of diversity, and about its greater value — not just to us as a firm, but also to the industry and to our clients. Using this data, we developed a strategy for each studio with a firm-wide emphasis on leadership training. We engaged a diversity and inclusion consultant, Global Diversity Collaborative, who helped us develop a curriculum to educate leadership on a wide spectrum of workplace diversity issues– from unconscious bias to micro-inequities. From there, we delegated homework assignments, facilitated team exercises and developed a set of tools for each office to effectively address and actively encourage inclusion and diversity. Now, we often hear that one of the factors resulting in a significant project win was due to our diverse project team. Perkins+Will was recently selected as the architect for Destination Crenshaw – a 1.1-mile open-air outdoor museum the history, art, music and technology of the neighbourhood along part of the upcoming LRT Crenshaw/LAX Line. Our team included three African-American architects, two of which are female principals, and this was a key selling point to the client. Today, I am one of only 424 female African-American architects licensed in the US – a representation that equates to 0.2 per cent. There has also been a shift in the way we design as architects at Perkins+Will. Part of creating great large-scale community projects is having a design team that reflects and understands the community and inherent socio-economic issues we are designing for. During my career, I've led a range of project teams across sectors, from civic buildings to higher education and healthcare facilities. I have learned that cultural differences can morph into opportunities for understanding in depth, what the blanket term "diversity" means. Working on one of the first co-ed universities in Saudi Arabia meant research into understanding cultural nuances. Real indicators of change start in the classroom not the studio. When I started out, I was the second African-American female to graduate in the history of the architecture programme at the Rhode Island School of Design. Yet recent data shows that, architectural schools are seeing more women applicants, close to 50:50. Hispanic representation is growing but still African American's only represent around five per cent. Ultimately, the responsibility is on the industry to strengthen the pipeline for underrepresented groups to work in the architecture field. Society is becoming more progressive, but this is only part of the demographic shift. Younger graduates now expect and seek out firms that make diversity a priority. Strategies can range from restructuring recruitment teams to represent a cross section of society, and partnering with historically black colleges and universities. In 2017, Perkins+Will launched an annual professional visiting scholar program with Tuskegee University with the aim of inspiring and preparing African American students for careers in the design profession. Diversity isn't just a gendered issue, nor a race issue. It is an inclusionary issue for socioeconomic status, education, physical capability, religious and cultural values... I could go on. We have a long way to go, but real change is on the horizon. Firms are becoming transparent about their lack of a diverse workforce. They hold their hands up and say "we know this is an issue and we are addressing it". Systemic change won't happen overnight – so we must actively address issues as a collective that exist rather than pretending that they don't. Hiring an African American woman on your leadership team is a step in the right direction, but long-term change stems from being proactive at the ground level and integrating diversity initiatives across firm-wide business practices. Engagement is key and diversity is deliberate. Diversity at an architecture firm is more than just optics. It means diversity in perspective, diversity of thought and ultimately, a group of people that together, have a richer, more nuanced understanding of how to build for the diverse world we live in. The more robust a design team, the more thoughtful and effective the design response. This is the future of diverse, inclusive design.